What a fantastic month we have had, January days might be short but we packed so much in to them. Early in the month we took delivery of the shipment of new materials we bought using the wonderful donations we received from our fundraising event at the end of last year. 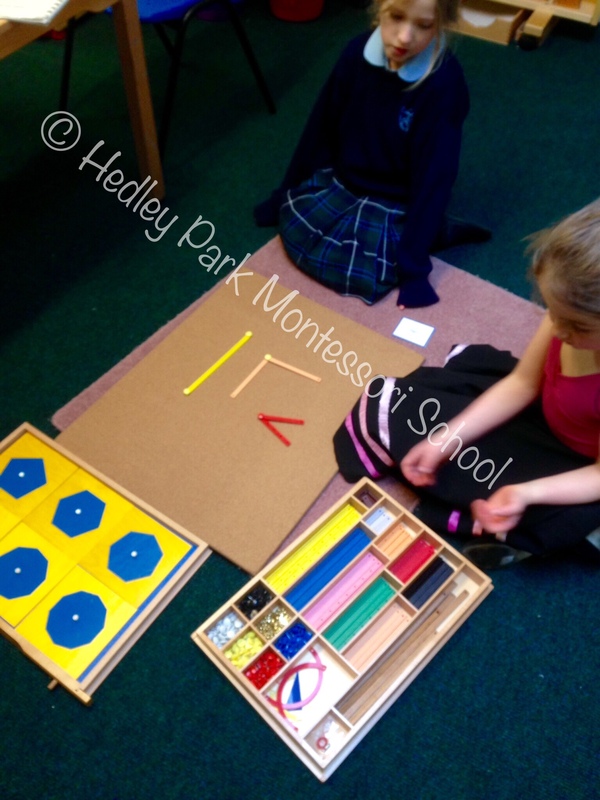 Our students really love their Montessori materials and it is fantastic that with the generous support of our parents we can continue to revitalise the stock of hands on learning opportunities we have to hand. These new materials can extend learning in an area giving the child further opportunity to develop a skill or ability or inspire a child to question, discover and internalise their learning more than they would from work sheets or books alone. This time we got some really remarkable pieces, including a delightful continent box, to help the children discover the animals and continents of the world and the truly spectacular Timeline of Evolution which charts the stages and milestones in the evolution of life on the planet. This piece of material has in itself sparked so much debate, research, reading, experiments and conversations in the senior class. The materials in a Montessori environment are the true “instructor” of the students, and this is very evident in the Timeline of Evolution. Watching the children pour over it, finding facts and heading off to the PCs, iPads and well-stocked library to investigate further was wonderful. Hearing them come up with ideas about why some stage of evolution happened before the next, where certain traits or animals or events occurred is really remarkable. It is this self-directed learning that embeds itself in the work ethic of the children as they mature as learners. The confidence it gives them as learners capable of taking charge of their own interests and questions, this is the real and long lasting effect of Montessori education for our children. Of course having children who are simply self-motivated to learn is not the only outcome of the Montessori method. Children are very social and take so much from their environment and interactions. We want to ensure the children are compassionate and considerate of those around them. Children who grow into thoughtful and community minded individuals. With this in mid we love to see our Snack café develop as a central part of the afternoons activities. Practicing social graces, manners, helpfulness, conversation and listening skills. It is inspiring for us as adults in the environment to see the children naturally displaying all of the above and more. The older children relish their role, taking care of the needs of the younger children and the younger children model their behaviours on the example of their elders. 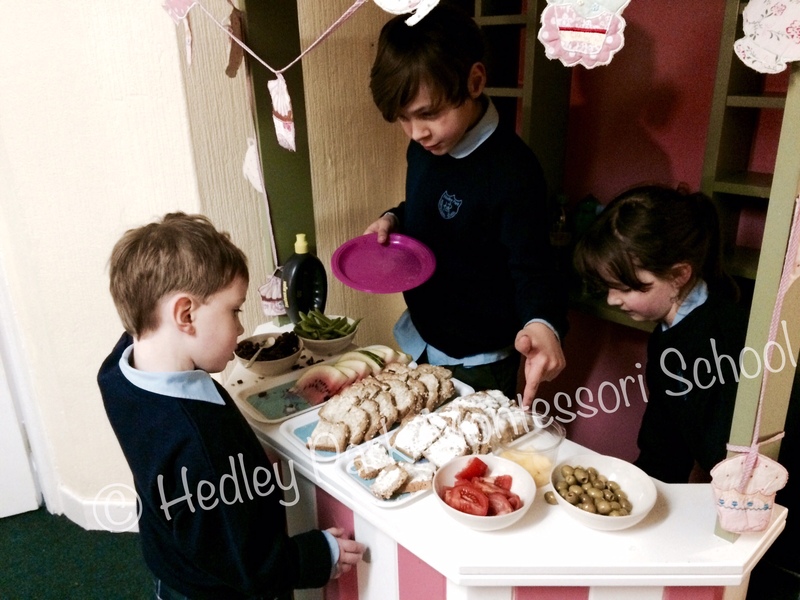 Healthy eating is another cornerstone of Hedley Park and from the general policies on lunches and snacks to all the food we provide, allowing and encouraging children to widen their horizons and introduce their palates to new tastes and textures helping them to become the dietary norm for children is paramount to us. So what have we been doing in class? As usual we start with the youngest group of learners in the school, the Nursery class. What a vibrant and loving group they are, constantly moving, hugging, chatting, laughing these young students pack a lot into their day. This month they have really been enjoying their Mandarin class, of course the 2-4 age group are in the midst of their natural sensitive period for language. They absorb new words, sounds, intonations and tones faster at this period than at any other time in their life. We don’t want to waste this wonderful natural drive so we ensure the Nursery class is a treasure trove of languages. From French songs, to Irish poems, stories and rhymes in English and their wonderful Mandarin class the Nursery children soak it all up. The Nursery children are also in their sensitive period for movement, as any parent will tell you, they never stop going! This sensitive period is not just about the need for movement but the refinement of movement. Strengthening muscles both gross and fine. From the big movements of carrying a chair or the largest block of the broad stairs, to the finest movements involved in holding a pencil or using a scissors the children are constantly making the neurological pathways that will be required for the rest of their lives. The Montessori environment is rich in occasions for movement, in fact we don’t just allow movement but expect and encourage it. Children move around the room selecting, setting up, doing and returning their work, they can walk around the classroom observing others, go to the library, to the home corner, to the shelves, freedom of movement is observed in all aspects of the day and it satisfies this deep unconscious need for the child to refine their movements in order to control their bodies. If the Nursery class is a hive of activity then the Junior class is a bustling and vibrant pod of dedicated learners. Movement isn’t just the domain of the younger students. 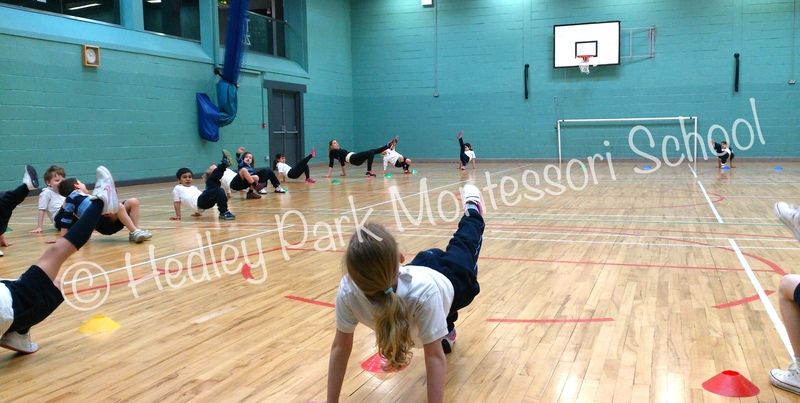 Our junior class students are very active, from Tuesday ballet to Friday Sport, daily activities in the park (weather permitting) we love to get active. Sport is a weekly highlight; the youngest in our class stay with Sinead in school and enjoy music and rhythm exercises every Friday morning. The older students in the class along with the senior class pupils get their kit bags and head off with George (our bus driver), Ashley, Aoife and Katie to a local sport centre. Here in their spacious setting we can really move our bodies. Lots of individual and team games, gymnastics, muscle control and coordination exercises are enjoyed by all. In the junior class this month we have been on an Asian adventure. We explored the continent of Asia and used it as the inspiration for all our projects, from writing samples, to art, geography to culture we have been on an odyssey of learning. It is a timely study as we are preparing for another great Hedley Park tradition, our Chinese New Year celebration and feast! 2015 is the year of the Goat, and we will make sure it is “Ram” packed with learning and fun! The junior class aren’t the only ones to prepare for the year of the Goat. The senior class are past masters at calligraphy by now having enjoyed many many lessons in Mandarin, Chinese Culture and Calligraphy, we even have our own wolf hair brushes and inkstones. The senior students have been preparing a team project on the Chinese new Year and are looking forward to sowing off their hard work on the big day. Another project the senior students got “stuck into” this month, was inspired by the Evolution Timeline it was a study on the development of the backbone in animals. We began this study with a dissection of the fish. As younger students we all worked with the parts of the fish puzzle and its control sheet. We have often used the labels on the puzzle pieces so we are all familiar with the terminology, but a real fish is a wonderful extension of this. It was fascinating to label all the parts and then begin the search for a physical example of the backbone itself. Talk about enthralled by the topic, the students were captivated and very eager to lend a hand… or four to the proceedings. It was heartening for us a teachers to see the flame of knowledge burn bright in our students, a flame that is never far from this particular group but magical when it blazes en-masse. So with that we will leave you, and will be back soon to update you on all our special projects, Chinese New Year and of course Valentines Day. My how fast the months pass when you are as busy and happy as we all are! Please enjoy the photo gallery of our months work. 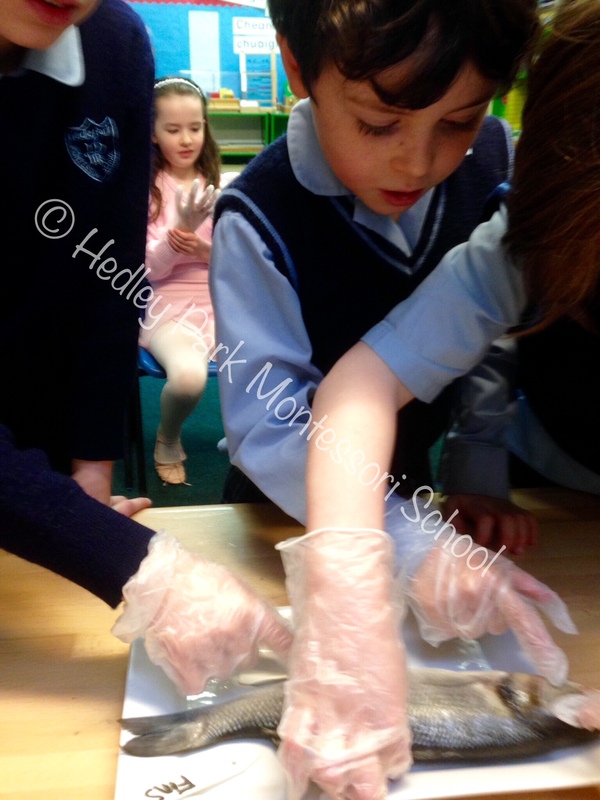 Winter Memories: Alice, Enda and lots of learning! Now we are back after a restful, fun and family filled Winter Break its time to look back at the end of our first term. Firstly we can take a little walk through the projects and themes we explored through the final month of the term. The nursery children began by going on an Asian adventure. As we have discussed before Montessori uses a colour-coded system to assist children to differentiate the continents, this colour also serves to link all the various themed artefacts to the particular continent to provide the child with a strong visual base from which to associate the images and items. For each of the seven continents the children in the nursery begin by painting a huge outline map of the continent. This fun group activity is our point to begin discussing the continent in question. At the nursery stage we primarily focus on animals, very iconic imagery and stories or songs about the continent. However the beauty of the Montessori method lies in the individual nature of each child’s learning, when a child has the drive to enquire farther the materials are always on hand in our school to aid their exploration to the fullest of the child’s interest. Another theme much enjoyed by the nursery, especially when coming up to Christmas is that of the seasons. Winter is a wonderfully sensorial season. Learning about snow and ice, cold winds and shorter days really spark the children’s imaginations. Again we use art, and song, stories and sensorial play to inspire the children to question and learn. With such a multicultural group in the school as a whole we celebrate so many cultural festivals, and Christmas certainly is large on the list. 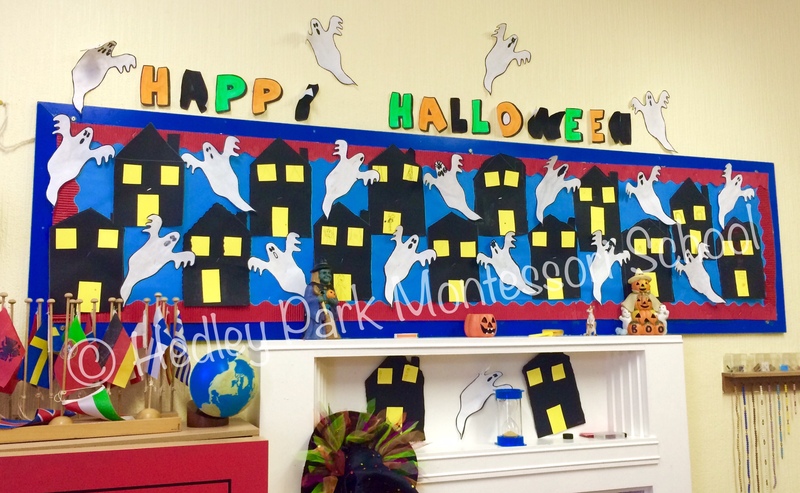 The nursery has lovely traditions that help the children prepare for the holiday. My personal favourite is making our reindeer food to encourage the sleigh to stop at our homes. 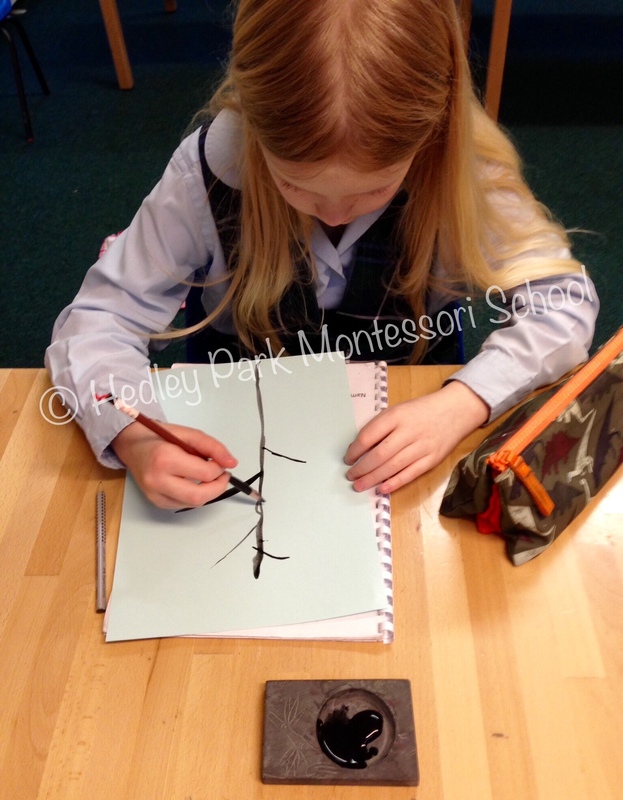 The preparatory school junior class also had a busy winter term; handwriting is the buzzword in the group. Everyone is getting into their writing samples, enjoying writing poems, stories and getting lots of perfection making practice! The drive children experience to communicate in the written medium is instinctive at this stage; Montessori called it the explosion into writing. Writing is a complex act that requires intellectual process combined with manual dexterity and is the ability to express thoughts with graphic symbols. Activities that make this possible are abundant in the Montessori setting, from the nursery tracing sounds, sensorial activities and practical life to the insets for design in the junior class and the chalkboard and moveable alphabet, our teachers know the great importance of indirect preparation: the children must be given opportunity to prepare their hand and mind to then be able to write. When all of the components of language come together and the children individually come to the realisation they can write. Montessori believed the children’s natural absorbent mind helps them to take in the images of the letters and also helps the children understand the importance of writing. It is significant in society and children are uniquely attuned to discovering the culture around them. This contributes to their deep desire to write. The children will come to realize that writing is not just any marks put on paper but is made of special marks. Knowing these special marks helps the child to do “special writing”. In the senior class our crack team of “backstage managers and set designers” were busy outside of individual work time conceiving and crafting the props and set pieces that they wanted for the Christmas Play. As the oldest group they enjoy a lot of responsibility and relish taking charge and deciding what is required for each scene and how it should look. Then their years of group and individual craft and art classes come into the fray and wonderful and unique set props are created. The Preparatory School play this year was Alice in Wonderland and what a masterpiece it was. To use Ashley’s catchphrase “Best show ever” and it was. Some of our Enchanted Flowers! The children rehearsed their lines and on stage movements to polish the show until it shone! We had some stellar characterisations, from the gracefully mischievous Cheshire Cat, to the delicate and dainty Flower garden. The rambunctious twins Tweedle Dum & Dee to the military precision of the Deck of Cards. Alice was just superb and alongside the Mad Hatter they brought so much of their own personalities to the roles. The fearsome and beautiful Queen, with her much maligned and gentlemanly King to the White Rabbit who began it all. The children gave it their all and more and as usual you can see them blossom after the show, the confidence and poise performing a full play in a professional theatre is an amazing experience to have so early on in life. Not to be outdone the Nursery group also had their play on the same day. I have to say it’s always so wonderful to see and this year was exceptional. The little ones themselves are not one bit fazed by the lights and the audience, and seem to enjoy the reaction of the parents from their places on stage. This year they performed “The Littlest Christmas Tree” and I think many of the parents were amazed at how well all the children participated. Finally just before we broke up for the Christmas break, the preparatory school went on a trip to their neighbour in Government Buildings. We are so lucky to have so many public amenities on our doorstep. But one local amenity that not everyone gets the invitation to enjoy is the corridors of power in the department of the Taoiseach. On a guided tour of the gallery of the Dail, the chambers of the Senate and the Cabinet, we made our way to meet Enda Kenny, the Taoiseach of Ireland. confidence and poise and enjoyed asking some pretty challenging questions of our national leader. He was charmed by their manners and intelligence and they could see that he was enjoying their joie de vivre! There were Christmas carols and “fist bumps” a plenty as they gathered around the tree for a photo op! Its with great thanks to Elsa & Leon’s Dad for organising this wonderful experience. What a busy end of term, all I can say is we all really deserved the break when it came. And in our first week back we have been planning, scheming, inspiring and challenging each other to discover all we can about the new terms topics and projects! I for one cannot wait to see what the coming weeks have to offer! 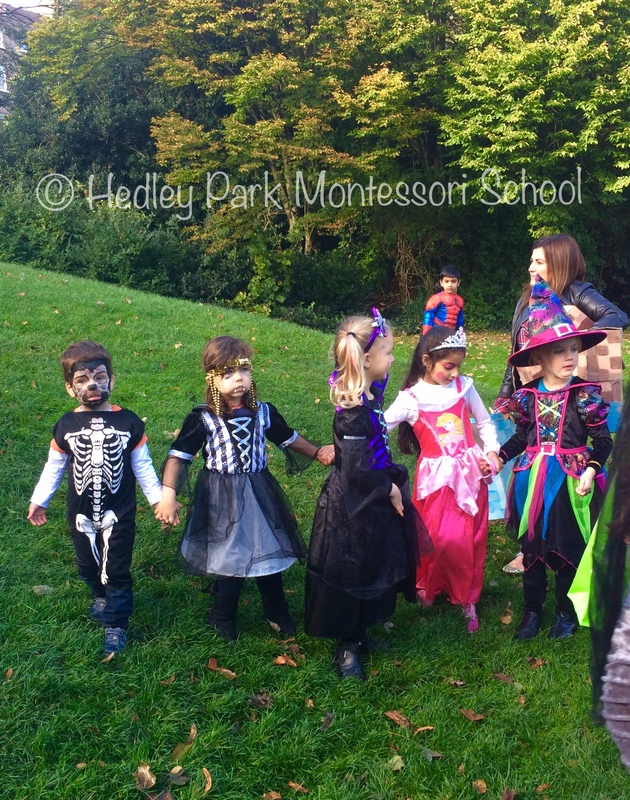 2015 will be another amazing year of growth and learning for Hedley Park and all its bright and energetic pupils! Have a look at our Photogallery below to see all our fun and work! And make sure to scroll beneath to hear us singing with Enda Kenny. 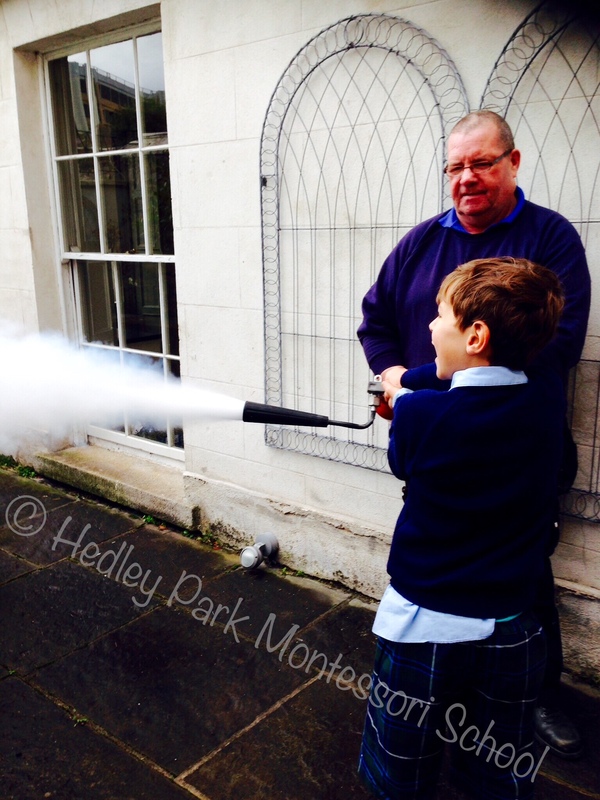 Autumn Term: Snack Cafe, Spooks, Witches & Fire Safety! What an autumn term we have had, so much work, fun, challenges, learning and friendship. Back refreshed from the summer holiday all the children were quick to get back to the school routine, but not everything was the same. Much work had been done over our two-week summer break in the school to refresh and renew the school itself. New hardwood floors for our classrooms, new sash windows for our Georgian façade, new bathrooms with gorgeous shiny tiles we love to touch and a wondrous new Snack Café that makes afternoon snack a delightful community affair. We use our snack café in the afternoon. Each table of children in the café take it in turn to come to the snack stand, patiently queuing to select the elements of their healthy snack before returning to eat with their friends old and young. The young diners are given the freedom to choose what they wish to eat and drink. Displaying the independence to pick their utensils and carry them gracefully back to the table. The children model great awareness of each other as the older children assist their younger community members to choose and carry their food. 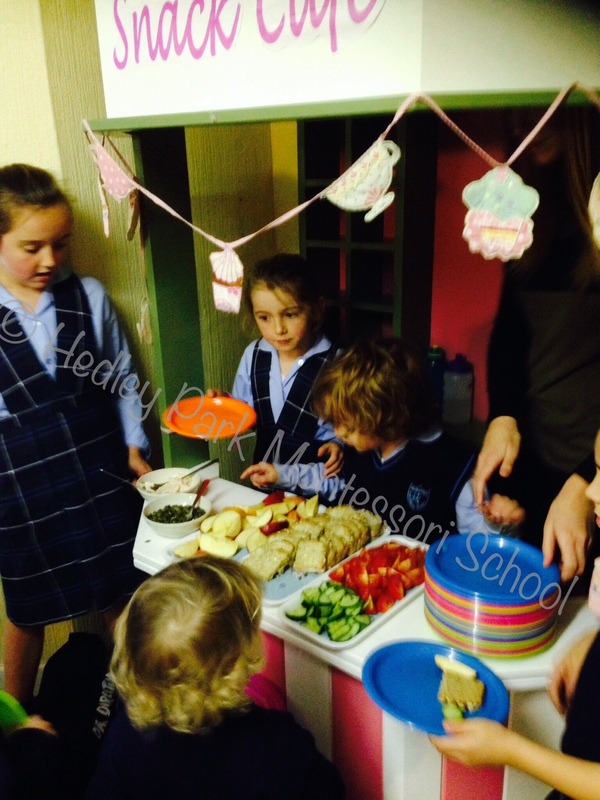 It is a great opportunity to perfect good manners and tolerance in this lovely community mealtime setting in a fun and relaxing atmosphere. All in all it is a pleasure to be part of I’m sure you can see. So what have we been getting up to in our classrooms? Well let us fill you in. Our nursery is busier than ever, lots of lovely new learners coming to join our more seasoned nursery students. The ever patient and kind Lisa and the fun and creative Magna keep everyone engaged and happy. With a lovely mix of newcomers and second year students the settling in period is gentle and comfortable. New students watching the engaged and active learning of the seasoned nursery are happy to get stuck into the inviting work displayed on the bright and welcoming shelves. Of course knowing they are the “big children” in the group keeps the returning students focused, as they love to be able to demonstrate the work to the new children and show them how to move in the room and find (and replace) what they need. Our full stock of Montessori materials are getting lots of use, in this classroom the focus is on perfecting gross motor movements, honing our sensorial learning and expanding our language skills, alongside the constant development of socialisation and grace and courtesy skills. 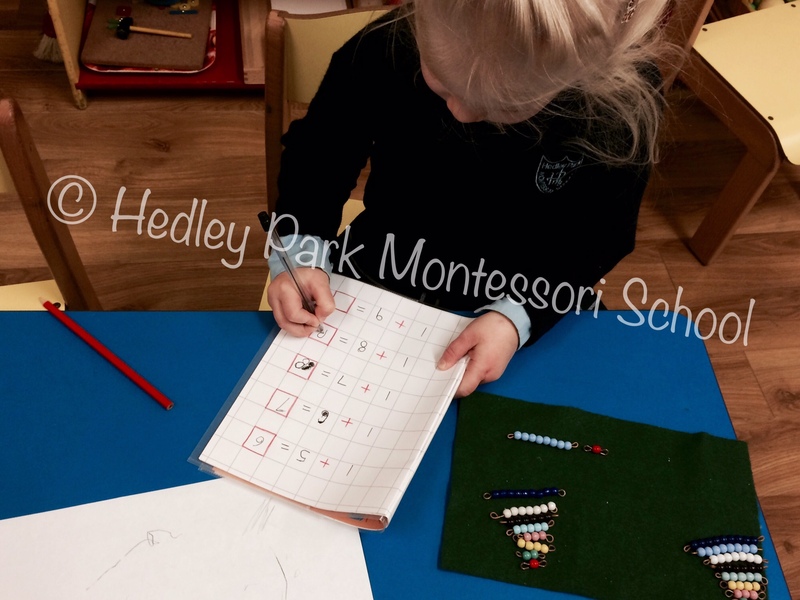 The older children in the room are experiencing the start of what Montessori would call the “explosion into writing” as they show great interest and aptitude in mark making, tracing their sounds and making efforts to copy their names and words in the environment. The nursery class room is a living gallery of the children’s work, for many of the children in this room the nursery is their first experience of a group environment, and so displaying their art, and photos of themselves, like those on the birthday Board and in the hallway gives them a sense of belonging and community that is vital for their self-esteem and integration as an individual of importance to the class group. 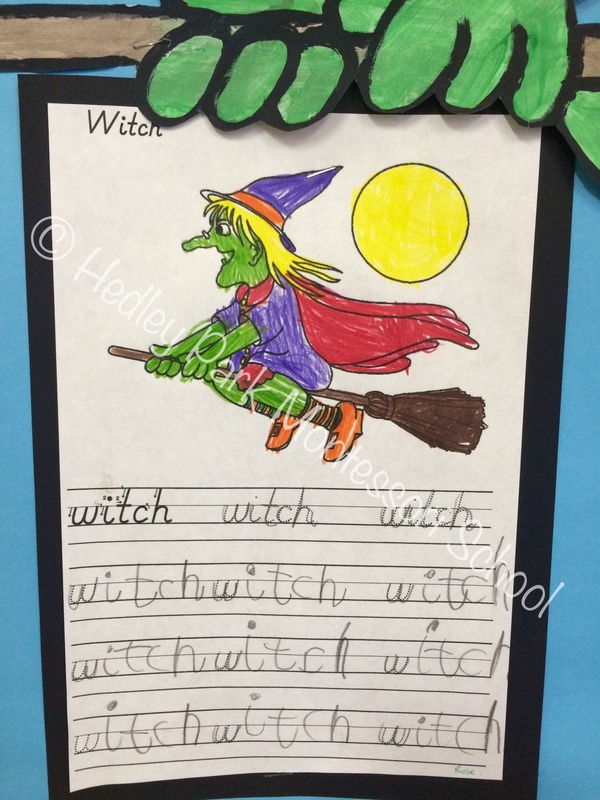 Here is a gallery of images from the Nursery students autumn term. Moving up to the Junior Class students in the preparatory school, who have become a lean learning machine! 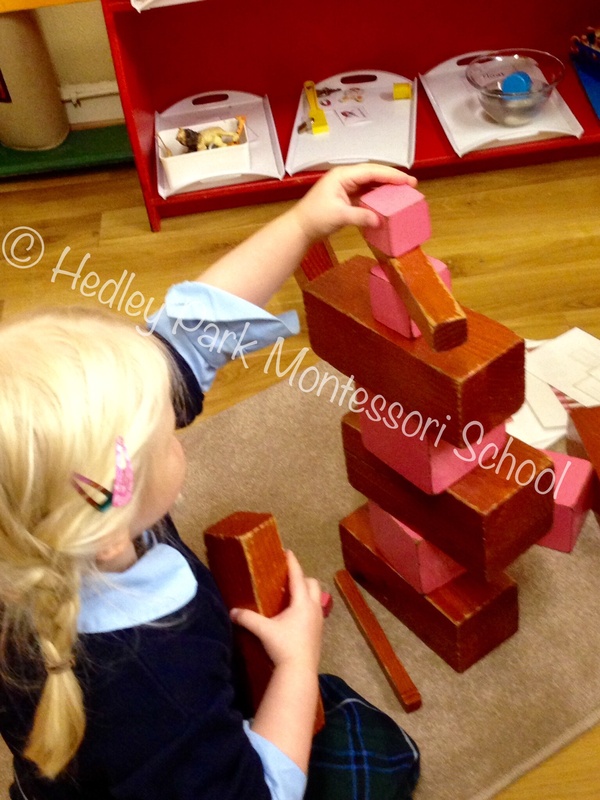 Again a group who are greatly benefiting from key concepts of the Montessori environment which beautifully compliment the natural capacity of children to soak up information and assimilate it to grasp amazing concepts in an effortless way. 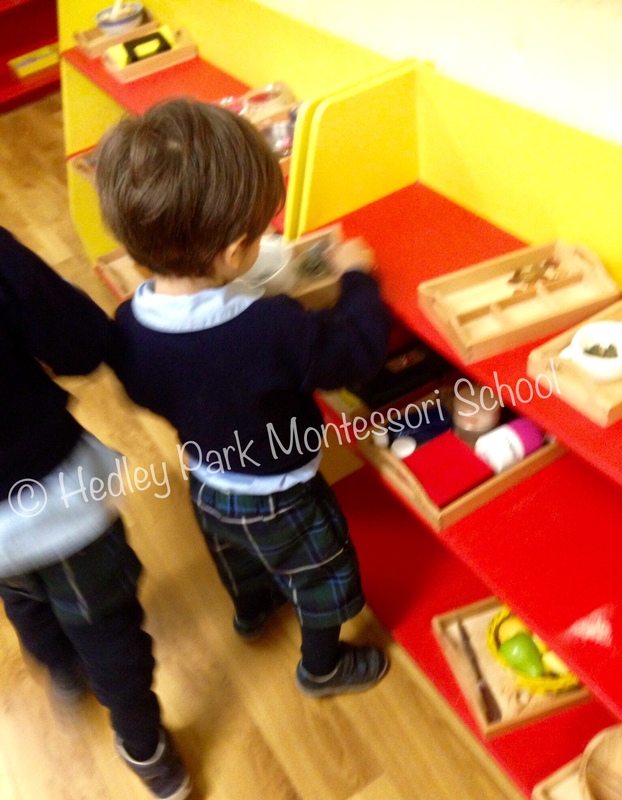 Montessori observed that children at this stage have essential need of movement in the environment. The freedom to move, at will, allows the students the space and time to integrate the concepts and ideas they are observing and experiencing from their work with the materials in a gentle and holistic manner. The junior classroom is filled with unique and interesting learning opportunities for the children to work with alone, once they have received a demonstration from Aoife or Sinead, or with a peer to share the experience. geared to make a community of friends, the hustle and bustle of a Montessori class is perfect for this as the children are free to work with anyone they choose so they can move from working with one peer to a different piece of work with another peer or work alone if that suits them better in that moment. This easy engagement and disengagement with their classmates gives the children ample opportunity to perfect their social skills, boosting their confidence and self-esteem in social situations. With a multi age range classroom group activities are always fun, two occasions for group work in this classroom are circle time and art work. Circle time is a fantastic supportive environment for the children to begin to discover their own opinions on topics and to voice them in an appropriate manner; it is also a perfect situation in which to practice the art of listening to others. Another fantastic area for expression is art; the children in the junior class really enjoy the large and individual art projects where self-expression, language, fine motor and social skills are all enmeshed in an entertaining and thought-provoking way. Here is a gallery of images from the junior class students autumn term. As usual the senior class are taking learning to new perspectives. A very hands on an eager bunch in the class make for an active and stimulating environment, of course Ashley & Evan are more than happy to keep the ideas coming and really understand how to ask just the right question to have the student dig deep within themselves and push their learning in a remarkable way. It would be impossible to tell you about all the topics and themes our study has brought us in contact with, in this age group independent study is the order of the day. The students take individual topics or perspectives on topics and using all the resources and materials in the well-appointed environment can engage in project work learning to follow their interest. In the senior class the learners, accustomed to self paced study can pursue a topic and in that pursuit are refining all the core curriculum aspects, history, geography, maths, science and language are all integral to the self-study projects, but when approached from the viewpoint of the child’s own interest nothing feels enforced, it is a very natural learning that enhances the learners own vision of themselves as capable and motivated students. 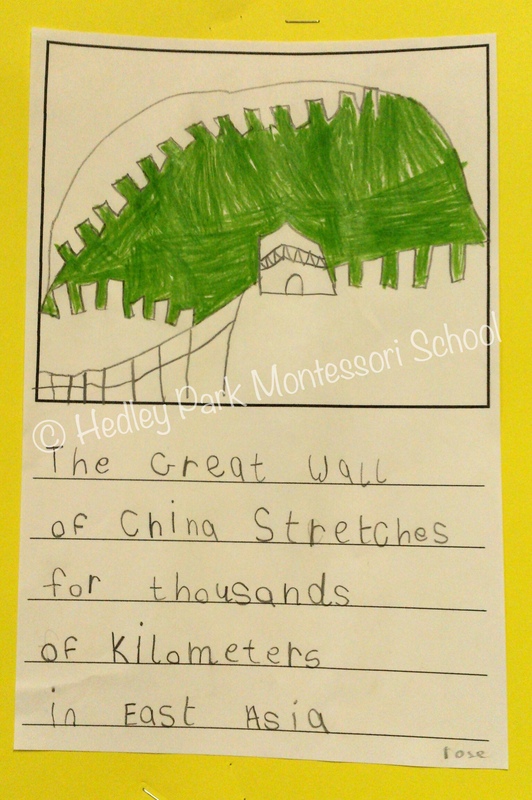 The beauty of the Montessori classroom is when you see the blended learning happening, there is no “stand alone” subject, the children profit from all the subjects in a holistic manner, languages are practiced in the investigating of a maths problem, art can contain elements of science or history, Mandarin class can encourage exploration of art history, as witnessed in the children’s art explorations on the theme of Edvard Munch’s “The Scream”, they used the wolfhair brushes from our Chinese calligraphy classes and their knowledge of the mandarin characters to illustrate their adaptations with the characters for Happy Halloween. It is this kind of integrated thinking and problem solving that will stand to them in their futures as effective individuals in society. I have to say one of my favourite projects to witness has been the personal timelines from each student. History and the exact passage of time can be a difficult concept for this age group, and as such a wonderful way to make it concrete and to make it personal is for the children to make a time line of their own life. The students with their family selected photos that marked the each passing year of their lives, it is a lovely opportunity to pass on stories which the children love to relay to their classmates as they compete the project in the classroom. Seeing and retelling the narrative of their lives gives the student a fantastic sense of the bond that exists in Hedley between the school and home settings, something which helps strengthen the importance of study to the young student, a vital reaffirmation to carry with them as they progress through education. Another wonderful learning occasion arose when we had a visit from the fire safety officer; the senior class students showing great interest in his work were treated to a talk on fire safety and a hands-on demonstration of the use of fire extinguishers. Other than the very practical use of the demonstration, giving the students the confidence to handle a fire extinguisher in the event one is needed, it sparked conversation on force, propulsion, temperature, chemical properties and combustion. All topics no doubt will be explored in full over the coming weeks, its clear a big impression was made on these young scientists. Here is a gallery of images from the senior class students autumn term. Our final piece of news is regarding the Witches Walk, which occurred just before the midterm break. We have many traditions in Hedley Park, it is a wonderful way to mark the passing of the year for children, and gives our families the opportunity to spend time together strengthen the bonds that being in the school create. Our Witches Walk takes place on the morning of our midterm break; we assemble at the gates of the school and walk to the wonderful amenity on our doorstep that is Merrion Square. Where we meet the kind but confused Witch who lost her list to create the spell that can take her home. Our search of the park for the ingredients in her list take us to the four corners and we all have time to get involved and even sing a song or say a poem to help us on the quest. Finally we gather at the steps and help the Witch to decant the ingredients and perform her spell. She can now find her way home and in return we get lovely treats to share before we go home to enjoy a few days with our families. Through the year we have more events, some as dramatic and exciting as the witches walk and some a little more sedate, but all serve to bind the community that is Hedley and leave memories of the fun and learning that takes place here indelibly etched into our hearts. Keep an eye on the front page of our website for notice of upcoming events, or even download our calendar to your smart phone to receive updates and reminders. 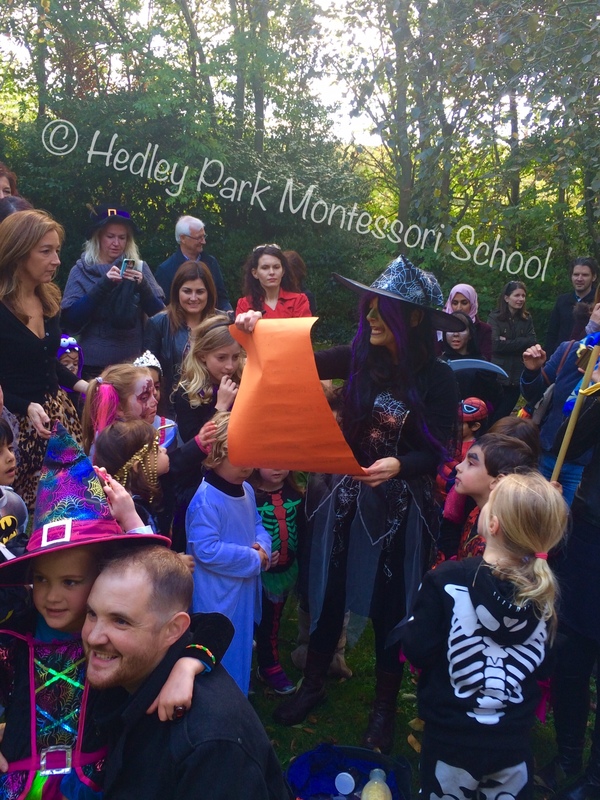 Here is a gallery of images from the 2014 Witches Walk. Fun, Treats, Costumes and of course that Wicked Witch will be out in full force!